Mr. Md. Mehmood Husain is the Managing Director and CEO of NRB Bank Limited. Prior to his new assignment Mr. Husain was the President and Managing Director of Bank Asia. A post graduate in Economics from the University of Dhaka, he started his banking career in 1984 as the probationary officer with National Bank Ltd. During 32 years long career he served a number of reputed Banks in various important capacities including Additional Managing Director of Prime Bank Ltd. He has attended numerous professional workshops and seminars at home and abroad. 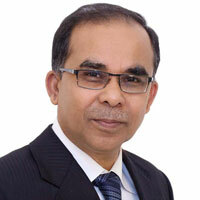 Mr. Mehmood Husain is a member of Association of Bankers Bangladesh and life member of Bangladesh Economic Association. He is actively associated with various social organisations. Mr. Md. Khurshed Alam has joined NRB Bank Limited as Deputy Managing Director on 27th December 2018. Mr. Md. Khurshed Alam having 23 years of solid experience in Commercial Banking in Bangladesh who started his Banking career since 1st January, 1996 as 2nd Batch Management Trainee of Eastern Bank Limited. 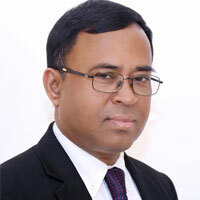 During this long expedition, he worked in various Department of the Bank like Branch Manager in Dhaka & Chittagong, Corporate Risk, Head of SME Risk under Credit Risk Management Department, Head of SME Banking Division & finally ended up as Head of Special Asset Management Division before joining NRB Bank. Mr. Alam is a Certified Credit Specialist CSA [Credit Skill Assessment] from Omega UK. He is also a Senior Faculty Member of Workplace Skill Development Academy [WSDA], New Zealand and conducted a number of seminars, workshops and trainings for Commercial Bankers & SME Entrepreneurs in collaboration with various National & International Organizations like BIBM, BBTA, IFC and EU. Mr. Md. Khurshed Alam has completed his Masters from the Department of Public Administration in Dhaka University. Imran Ahmed, FCA, CISA has joined us as Senior Executive Vice President (SEVP) and Chief Operating Officer on 1st March 2017. Mr. Imran Ahmed is a Chartered Accountant (a Fellow Member of the ICAB) and CISA (Certified Information System Auditor, USA) and has around 20 years of experience including 09 years Banking experience blended with Financial Management, Capital Management, Portfolio Management, Investment Banking, Information System Assurance, Agri/Renewable, Energy/Women Entrepreneurship Financing, Internal Control & Compliance and Risk Management. Mr. Ahmed is also a certified Sustainability Reporting Specialist. He was trained from Malaysia and Indonesia on Sustainability Reporting. He is one of the pioneers in Bangladesh Banking Industry who started to produce full scale sustainability Report and Integrated report for bank. 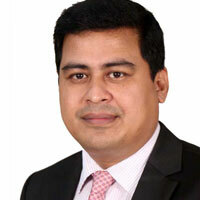 He stared his Banking career with Dhaka Bank Limited, where he served for a period of 3 years. Thereafter, Mr. Ahmed joined Bank Asia Limited in December 2010 and served there for more than 6 years as Chief Financial Officer. He was also a Director of Bank Asia Securities Limited. Before that Mr. Imran Ahmed was a practicing Chartered Accountant (2003-2008) worked as Manager (Audit & TAX) with ACNABIN & Co. Chartered Accountants, the then Andersen Worldwide SC and later he worked as Manager, Senior Manager and Partner with A. Qasem & Co. Chartered Accountants the then Associate Member firm of PricewaterhouseCoopers and now member firm of Earnest Young LLC. Md. 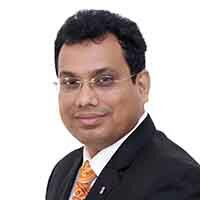 Towhidul Islam has joined NRB Bank Limited as Head of Financial Institutions on 1st September, 2013. Prior to joining NRB, he was the Director-Banks, Financial Institutions in Standard Chartered Bank. Towhid has started his banking career with ANZ Grindlays Bank in the year 1995 & joined SCB next year in former IBG Department. Since then he has been worked in different capacities of correspondent banking business to facilitate cash & trade business for the local banks. He has established good rapport with the stake holders for driving trade business such as L/C Advising, Confirmation, Discounting, Guarantees and certainly for cash business including opening of nostro, vistro accounts for both local and overseas banks. Towhid is a certified Trade specialist & has also completed certification program on Credit Curriculum of Financial Institutions. During his career he has involved in number of remarkable deals such as Raising Tier II capital, FCY lending to commercial banks. Towhid has participated in various leadership training & worked in SCB NY to understand US Dollar clearing. He has obtained Chairman's Award, Chief Executive Award, Early Bird award etc. during his career in SCB. Towhid is post graduated in Marketing from Dhaka University and played competitive cricket in Dhaka Premier League. He is married and blessed with a son & two daughters. Mr. A K M Kamal Uddin has joined in NRB Bank as Senior Executive Vice President (SEVP) on 1st February 2017. Mr. Kamal – a Post Graduate(Honors and Masters) in Sociology from Dhaka University has total 28 years Banking experience blended with Branch Banking and Corporate Banking. Prior to joining NRB Bank, he was the Executive Vice President & Head of Transaction Banking Division, Prime Bank Limited. 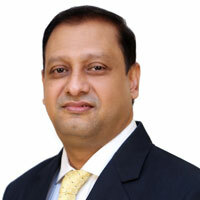 He joined Prime Bank Limited in October 1999 and has served there for last 17 (seventeen) years. Prior to that he worked with National Credit & Commerce Bank Limited for 03 years from October 1996 to September 1999 and Janata Bank from April, 1989 to October 1996. Mohd. Jamil Hossain joined NRB Bank Limited as Executive Vice President on November 13, 2017. Mr. Hossain, has 22 years of professional exposure in banking industry on diverse capacities, spanning mainly over the Branch Banking, Credit Risk Management, Retail Banking and Corporate Banking. Mr. Hossain commenced his career in Eastern Bank Limited as a Probationary Officer in January 1997 and served at different capacities in General Banking, Foreign Exchange and Credit Management at branch level operation. 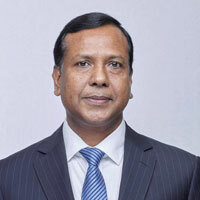 After that Mr. Hossain joined Woori Bank, Bangladesh on March 2001 and served as senior level management position. 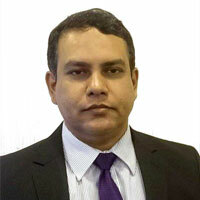 Before joining Prime Bank, Mr. Hossain has served as Head of Credit and Head of Treasury at Woori Bank, Bangladesh. Thereafter, Mr. Hossain Joined Prime Bank in March 2007 and served as Head of Export Finance Unit under Corporate Banking Division. Following the segregation of corporate and credit activities in line with regulatory directives, Mr. Hossain was assigned to establish Credit Risk Management Division of Prime Bank as Head of the Division in February 2008 and served up to October 2014. 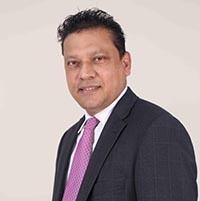 Mr. Hossain was also assigned to establish Risk Management Division of Prime Bank as Head of the Division in January 2010 as an additional role and served up to December 2012. During his long tenor in Prime Bank, he devoted himself to develop the risk culture and risk appetite of the Bank. His consummate knowledge and experience in managing core risks earned him a reputation in the industry. 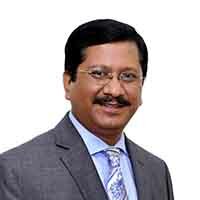 Following his leadership skills and strategic management capabilities, he was also assigned as Head of Retail Banking Division and Special Asset Management Department of Prime Bank. Mr. Hossain holds his Master in International Economic Relations from University of Dhaka. He also holds his Master in Business Administration (MBA) major in Finance. 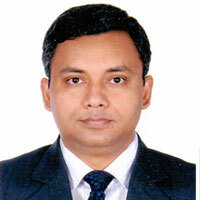 Further, Mr. Hossain holds Master in Professional Banking (MPB) from University of Dhaka. Mr. Hossain is a Certified "Credit Professional" of Omega Performance, U. K. and obtained Diploma from Chartered Banker Institute, U. K. He is also a regular contributor on economy and banking related issues and aspects in the leading national dailies. Mr. Hossain has attended a good numbers of domestic and international trainings, seminars and workshops mainly in Asia and Europe over the past 22 years focusing on Credit Risk Management, Risk Indicators, Asset Liability Management, Basel Implementation and other aspects of banking and related fields. Joined NRB Bank as SVP & Head of Risk Management Division in February 2016. With over 16 years in banking experience, he started by joining Prime Bank in middle of 2000 as Management Trainee. After a brief stop at ONE Bank, finished a long stop at Trust Bank. He served in different departments at various capacities including Head of Basel & RMD and Manager, Credit & Foreign Trade at various branches of Trust Bank. Studied BSS with MSS in economics and subsequently MBA in Finance (Evening) from University of Dhaka. In addition, added Post Graduate Diploma in Industrial Management from Bangladesh Institute of Management. Mr. Md. Ashrauddin Ahmed, Senior Vice President, has to his credit more than three decades of experience in serving commercials banks of the country. Masters in English Literature, Mr. Ashraf participated in several professional trainings/workshops in different discipline of banking including Management Course for Senior Bankers, Computer Operations in Banks, e-Commerce & e-Banking and Securities Rules and Regulations for Listed Company Secretaries. Spending major part of his career in the HR/Admin, General Services & Board Secretariat, he attained substantial experience in Corporate and Company affairs. Before joining NRB Bank, he worked in Bank Asia since its pre-formative stage. He was entwined with Bank Asia in its inception and subsequent expansion. Mr. Ashraf joined NRB Bank in February 2017. He has the core competencies in Business restructuring, Merger & acquisition of business, Risk management, Taxation & VAT management, Islamic Banking module and Compliance & Financial Control. Mr. Nath is a Qualified Chartered Accountant and post graduate in Accounting. Mr. Ahmed is a veteran banker and HR-Professional with 14 years of experience in banking industry. He started his career as Management Trainee Officer in Premier Bank Limited. Back in April 2003 and served there in different areas of HR & General Banking. Mr. Ahmed Has also served in responsible position of Human Resources in United Commercial Bank Ltd and Midland Bank. Prior to joining NRB Bank Ltd. Mr. Imteeaz Ahmed served in Bank Asia Limited as First Vice President. Mr. Ahmed has completed his BBA & MBA from University of Dhaka.